The word prompt for the 8th Edition of Smile For The Camera is Stocking Stuffer: Show us that picture that would make a great Stocking Stuffer and tell us whose stocking you’d stuff. 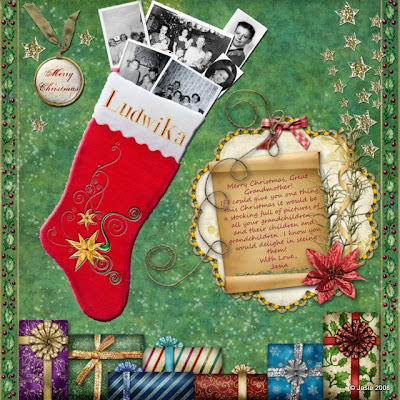 Digi-scrapping kit used is Holiday Shimmer, created by Phuong Ton and Microferk. It's available here.